Martial arts consist of many different sports, which are from the East Asian origin, like karate, judo, kung fu and kendo. We can divide martial art in armed and unarmed. The armed ones are archery, spearmanship, and swordsmanship, which come from China. It involves striking with the feet and hands or even grappling. Unarmed sports are judo, sumo, karate, and tae kwon do, but also aikido, kung fu and hapkido. The important aspect of martial art is spiritual development and not only sell defense. East Asian martial arts are influenced by Daoism and Zen Buddhism, so the focus is on the mental and spiritual state of the practitioner, so that the mind and body become one, and react as one. In the 20th century, the popularity of these sports had grown, and that is why judo and tae kwon do become part of Olympic Games. In the 21st century, a fighting technique from various cultural traditions also achieved prominence. Weapons are an important part of any martial arts. It can help you to improve your technique, to challenge you, and help you to learn new skills. Martial arts instructors in there training use weapons like bo staffs, sai, nunchaku and many others. Weapons are used in training, and as an important part of this sport. It can help you to develop your skills at another level. They are used only in self-defense, but not as a weapon at attacking somebody. Only experienced martial art student can use them. It is a dangerous tool, and not meant for a beginner, so you must keep that in mind. It can take a range of few years before you master this skill. 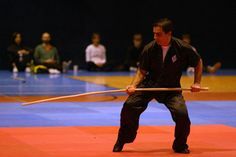 We offer a great selection of wood, foam and metal weapons which are used in martial art training. Here you can also find katanas, throwing stars, and other weapons that are intended for self-defense. Karate was developed in the Ryukyu Kingdom under the influence of Chinese martial arts. In karate the participant is using punching, kicking, elbow strikes, knee strikes and open hand techniques like knife hands, spear hands, and palm heel strikes. The person who practices karate is called a karateka. Karate was developed in Japan in the early 20th century, from the Ryukyu Kingdom. From then on it was incorporated in Japan culture. After the World War II karate became popular in the American military circles. At the end of 20th-century karate became very popular all around the world, and school that taught karate emerged across the world. One of the reasons why karate became so popular is because of the way it was depicted in the movies and television. Karate seemed like a mysterious way of fighting and capable of causing death or injury in only one blow. But the television once again represented this martial art far for real thing. It is presumed that there are around 100 million practitioners around the world, and that number is growing. When training any kind of sports, it is important to have the right equipment. Equipment is the big part of the sport because it will improve your performance and also keep you from getting hurt. Practicing with the right equipment is crucial in developing right form and skills that you need in this sport. Here you can find everything you need from kimonos, mates, belts, body armor, foot guards, gloves, training aids, and many others. If you are a beginner and going to practice, or if you are preparing for competition, this is the place for you. There are many different types of uniform, depending on your needs and many different disciplines, instructor, and schools. That is why the uniforms that are traditionally worn by students probably are not uniforms that you would need at your school. In many of East Asia disciplines, uniforms are traditionally known as a gi. There is much different gis, and there is a different style of the top, different materials, weight and various colors. There is also different length and fit of the gi, depending if you are a beginner or advanced in karate. Here you can find every type of gy, design especially for you. Make sure to browse our well-stocked range of Karate suits with different weights and colors, for instructors and students also. The color of the belts represents different rank in martial arts. This is a fairly recent innovation which first came into place in a late 19th century. In martial arts, colors that are used are white, yellow, orange, blue, green, purple, brown, and black. White belt belongs to beginners, and black belt represent most advanced. Students can get different belt color, which represents their progress, in tests. These tests also are different from school to school, and from instructor to instructor. Here you can find belts made from silk or cotton. If you are training karate, there are a few more things that you need except karate uniform and belts. The important part when you are training and competing is also body armor. It protects your body from blows and also protects you from getting hurt. It is an essential part of keeping you safe and focused on your upcoming fight or training session. You will also need gloves which will protect your fingers and knuckles from injury or even from braking. Protect yourself and your opponent with our Karate protective gear. Foot guard will also protect your legs from injury. If you are training or competing make sure that you have this type of martial art equipment. Weapons are not used at all schools; this can depending mostly on the instructor. But the schools that use this kind of equipment often use rubber knives, unsharpened blades, lightweights. The weapons that are commonly used in training are knives, nunchakus, sai, kamas, and many others. Make sure to ask at school or your instructor what kind of weapon you need, and get it here. Martial arts are marketed as self-defense fighting styles, and thus only people that are interested in that tend to start training them. Martial arts like Kung Fu aren’t just there for self-defense as they are much more. This, of course, will require a real master of the said art as westerners tend to learn only about self-defense part. Self-defense is just an aspect of martial arts, and it is the one everyone learns. But, since it is just an aspect, that means that there are more sides to fighting styles than you think. Martial arts can teach a man to attack and kill an opponent (or hurt him badly). That is, of course, something that you don’t have to learn in this day and age. This brutal side is foreign to the modern martial arts as they are reduced to a sport rather than means to kill an enemy. Another aspect of martial arts that people forget is the spiritual training of the body. 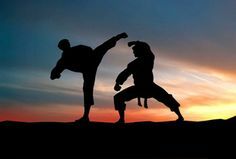 No human should call themselves martial arts masters if they failed to incorporate the teachings on both the physical and mental level. Implementing the psychological aspect of martial arts refines the technique and makes the user better at fighting. But it isn’t as crucial to traditional martial art training to incorporate it as the level of skill is usually quite small and people aren’t interested in it. Those that want to master martial arts try it through mental training and fusing it with their physical abilities. Four approaches exist that represent different ways to blend spiritual and physical aspects of the martial arts. One of the approaches is to learn meditation and other aspects of the mental training apart from the martial arts. These two can be from different traditions and still work well. This will work as long as the user knows the boundary between those two. One can train martial arts from a school connected to Buddhist Vipassana and learn meditation that is directly linked to Zen. The other approach is to fuse martial and spiritual art traditions and come up with a new path within the said tradition. Aikido is created in that was as it was derived from the combination of the Omoto religion and Aiki-Jitsu. This isn’t something that any martial arts enthusiast can do and should even try. The hardest way to fuse these two is to learn them simultaneously. This requires a lot of willpower and strength as both the mental and physical training occur at the same time. The student also has to be subject to several masters than are competent in their fields of expertise. If you are interested in healthy living, then martial arts are a good option for you. Check with us, and we will gear you up for some quality physical and psychical training that will change your life.